Since The Pope is going to make Mother Teresa a Saint, here is a video looking at the truth behind this disgusting evil woman. If you thought you knew about Mother Teresa, I promise you, you know nothing. 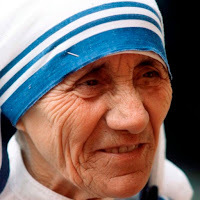 An Example of Why Mother Teresa was no Saint!